Take the A534 towards Chester. This becomes the A51. After about 8 miles,cross over the railway bridge in Calveley. On the next bend turn right onto Long Lane. Continue for 2.4 miles. St. David's Church will be on your left. From Winsford head down the B5074 towards Nantwich. Just after the traffic lights turn right onto Darnhall School Lane. 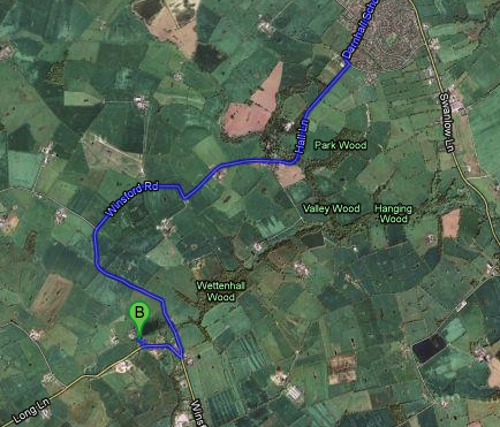 After the school turn right into Hall Lane, then right into Winsford Road. Ath the Boot & Slipper turn sharp right. St. David's Church will be on your right.